Mission Viejo sewer camera inspection services are always available from us here at Scott English Plumbing! When the drains in your home or business are gurgling or creating a backwash of debris, it is essential to call our sewer inspection company as soon as possible. We are available 24/7 at 949-462-9773. And, if you prefer, you can always visit our experts at 1230 N. Jefferson St. Anaheim, CA 92807. There are great reasons for requesting a Mission Viejo camera inspection, including learning if the sewer lines have a clog or damage. With the right information, a plumbing company can plan how the plumbers will remove particular types of debris or how they will repair a cracked sewer line. If you want to preserve your property’s landscaping, then a noninvasive Mission Viejo video camera inspection is vital. With this type of service, a plumber drops a video camera into the drains or sewer lines to find the clogs or damage that are causing problems with your property’s drainage system. After learning what is in the sewer lines, we can perform a cleaning process to remove grease, tree roots or bathroom tissue. Instead of taking several days to remove the clog, we can dislodge the debris within a few hours. After finding the clog, we can remove it with a rooter brush, or we can dislodge it with pressurized water. When you need a sewer camera inspection, there are experts nearby. A Mission Viejo video camera inspection is available from Scott English Plumbing. 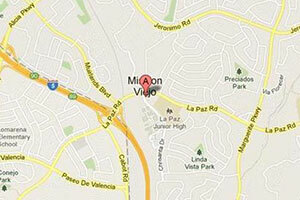 If a building’s drains are draining slowly, then we can perform a scheduled Mission Viejo drain inspection. However, if you are experiencing major sewer line problems that make it impossible to use a building’s plumbing fixtures, then you can call us for an emergency sewer line repair. Call our plumbing company today to arrange a video camera inspection in Mission Viejo.